Who Says We Only Party On The Weekend? Last week was full of fun lighting for our team at EEL Chicago! We want to thank Eli at ESE Lifestyle for incorporating EEL Chicago’s lighting at their event at the Soho House Chicago. Amber patterned lighting & uplighting looked great in this unique space. Mid-America Club on Halloween! We loved the orange and purple uplighting throughout the space. Thank you so much to Keri at Anthony Gowder Designs for letting us be a part of this evening. 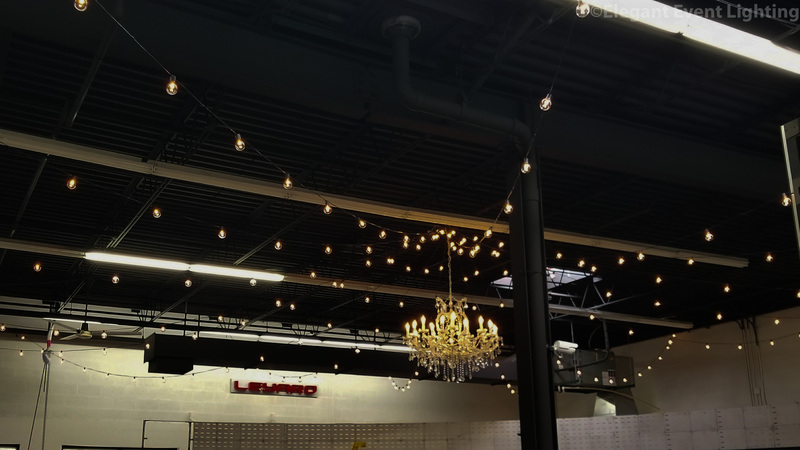 The Planar & Leyard Showroom ceiling was transformed with cafe globe lighting and a hanging crystal chandelier. Thank you Erika at Planar for incorporating EEL’s lighting at Planar‘s Corporate Event. Stay tuned Friday for a recap on our November 6th wedding weekend!